Well, here’s a first – a Dutch DAF 66 SL. But wait! It gets weirder, in that this is a UK-market car with right hand drive. 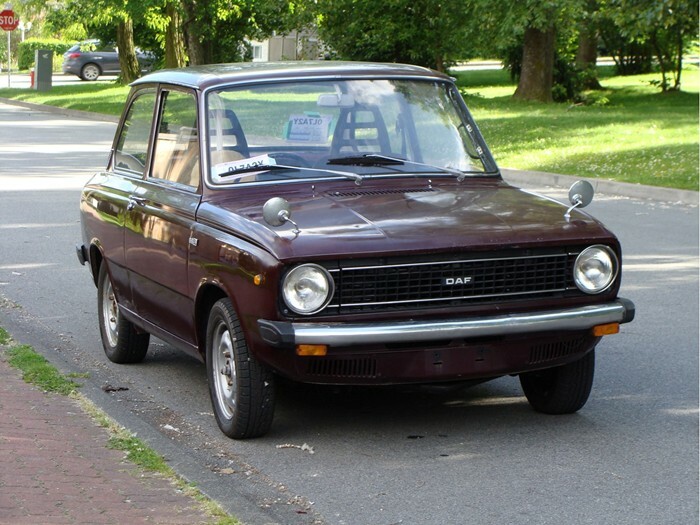 These were fairly common on northern European roads, although their reputation suffered somewhat as they were considered an old pensioner’s car, likely due to their lowish power and continuously variable transmission. However, in their home country they were popular for racing thanks to a deDion rear suspension and relatively light weight. DAF were purchased by Volvo in the late 1970s, and the Volvo 66 was built for several more years. This car was just recently listed on craigslist, but when that listing disappeared, a quick search revealed the video below (which has an interesting comment from the original person who imported it from the UK). The car was listed in Snohomish County, Washington for the very reasonable price of $2700. 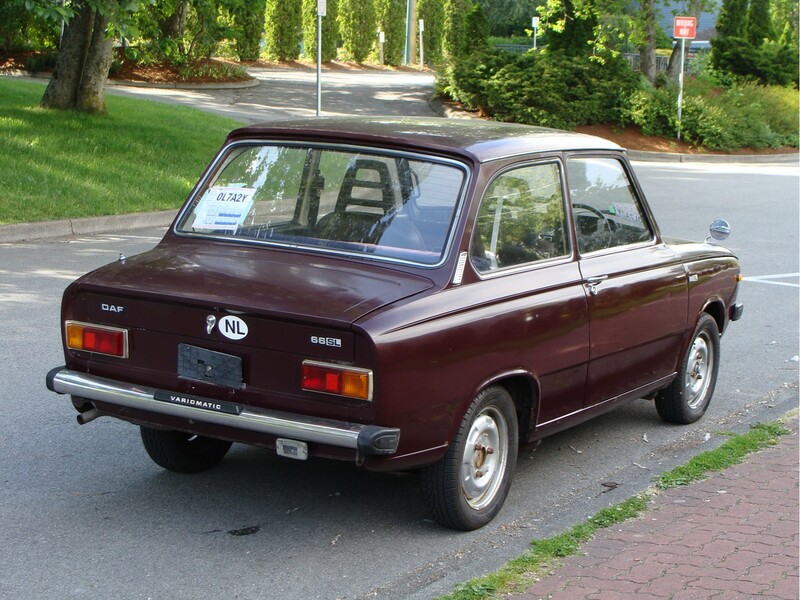 Here is a picture of the car while it was for sale with a previous owner up in British Columbia. Apparently, it has much recent mechanical attention, so should be good to go for quite a while. Looks pretty nice, and while the maroon paint can cover up many sins, the previously listing suggests there is almost no cosmetic rust and no structural rust. Apparently the rear seat was disintegrating, and there were some minor body dents, but again, it looks pretty good in the video. Fortunately for us Americans, it’s back in the US, and for Californians, it’s a pre-1976 car so there should be no registration issues. Very basic and utilitarian rear end, much like a Fiat 128 or VW Derby of the same period. Two back-up lights would be decadent, no? You can also see the little Variomatic badge in the back. My only experience with a CVT (until a recent rental Nissan) was with a former roommate’s Volvo 360, and it was the strangest sensation. The car accelerates, but the engine revs never increase and drop dramatically as you speed up, which somehow diminishes the feeling of acceleration. 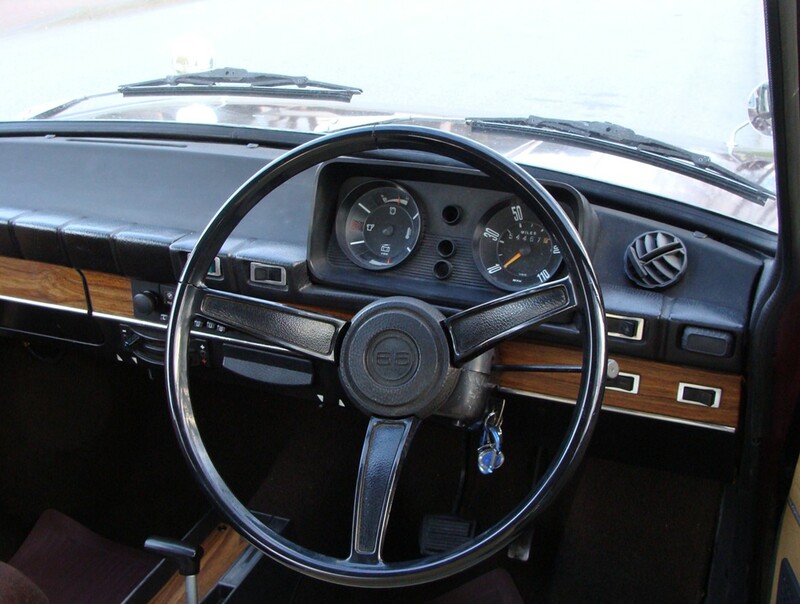 Spartan interior, although the fake wood and three-spoke wheel lend it a bit of a sporting note. The little gauge pod is actually pretty similar to what was found on contemporary Fiats. Everything looks remarkably clean and well kept, which is even more amazing given the original importer said he bought it off the back of a truck, headed to a wrecking yard. 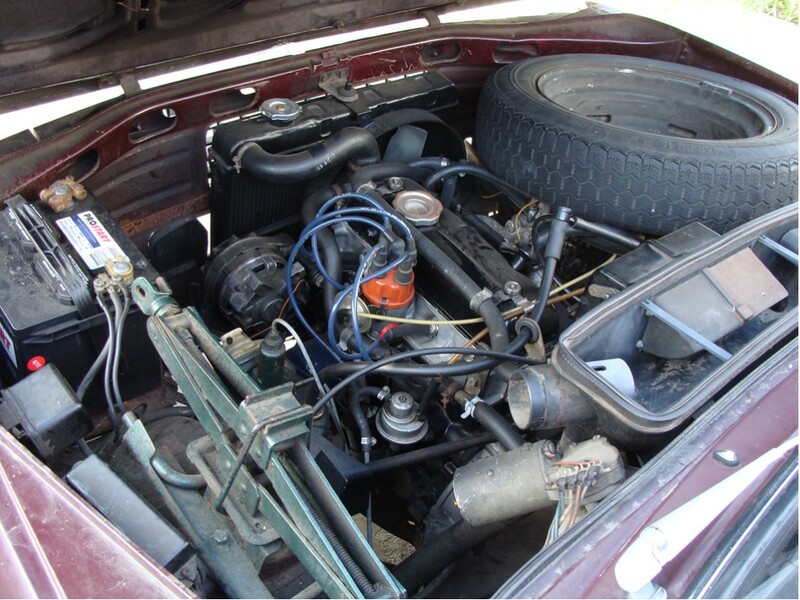 The engine and carburetor have had recent rebuilds, as have the brakes and clutch (wait, what? CVTs have a clutch? ), and the Variomatic has had a recent service. Apparently this car will comfortably cruise at 75mph, so it should manage our roads well enough. That said, this car seems to be bouncing from owner to owner – perhaps once the novelty has worn off, there’s not much there? This entry was posted on August 11, 2013 at 12:36 am and is filed under Feature. You can follow any responses to this entry through the RSS 2.0 feed. You can leave a response, or trackback from your own site.